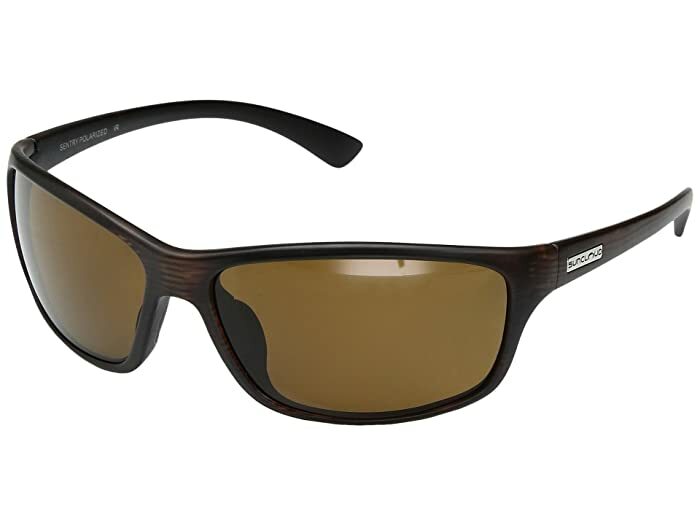 Stay covered with sporty style and full-on features of the Sentry from SunCloud™ Polarized Optics. 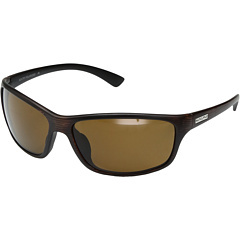 Injection molded Grilamid nylon frames are lightweight and durable. 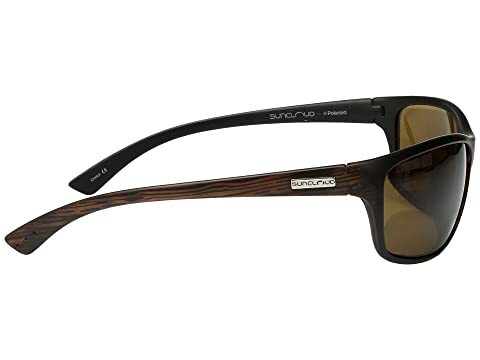 Suncloud frames and lenses feature an 8-base curvature, enabling the frame and lens to wrap on the wearer's face. Eight base frames offer added protection from annoying side glare and environmental elements such as wind, dust and particulate matter. 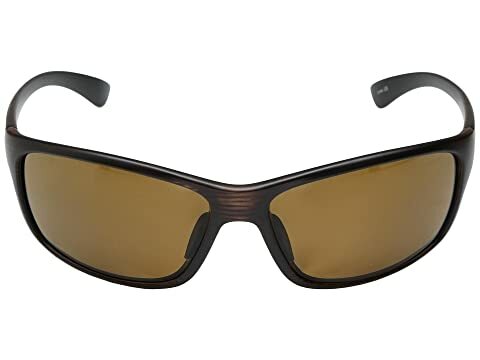 Injection molded polycarbonate lens material offers lightweight wear and high impact resistance for added durability.The injection molded process also helps create a rigid polarizing film carrier and eliminates distortion. • Polarized Grey offers the truest transmission of natural colors. • Polarized Brown enhances contrast while maintaining the accuracy of color transmissions. 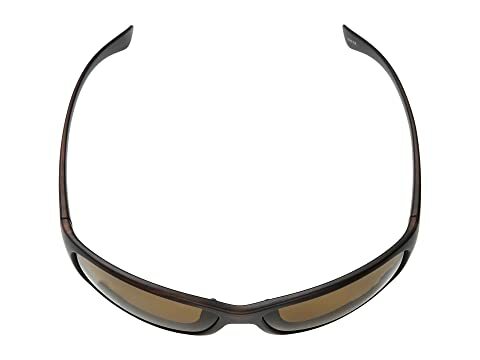 Offers 100% UV protection from the sun's harmful rays.